Today, Hasbro, Inc. and HBO join forces to announce the launch of an all new edition of Monopoly: Game of Thrones game. Inspired by the network's hit series Game of Thrones, Monopoly: Game of Thrones is being rereleased with brand-new features including customized tokens, iconic properties and graphics infused within the game board. Monopoly and Game of Thrones fans can set sail to Westeros, with game tokens inspired by the honorary sigils of the Great Houses. Players will travel around the board to buy, sell, and trade iconic locations from the Seven Kingdoms, building castles and holdfasts in their pursuit to rule the Iron Throne. Said Jonathan Berkowitz, President, Hasbro Brands. "HBO has an incredibly robust and passionate fan base for the Game of Thrones series, and we're excited to offer yet another way for these fans to connect with the brand. The board, the tokens, the money, and even the game pieces are derived directly from the show, ensuring Game of Thrones fans can be transported into the world of Westeros through an engaging and authentic Monopoly experience." Monopoly is the world's favorite family game brand and is enjoyed by more than 1 billion players in 114 countries across the globe. Fans can engage with the Monopoly brand across many platforms and formats including live events, fashion licensing, digital gaming, casino gambling, and more. Game of Thrones returns for its 8th and final season sometime in 2019. An official release date has yet to be announced, with shooting only wrapping up over the past couple of months. It is expected that HBO may hold off on showing these 6 final episodes until sometime this summer. The final season will be an epic event for the network, and you can expect a lot of exciting tie-ins to come. There will be plenty of adult-themed toys released, and the series continues to get its own limited edition beers. HBO will continue to keep the Game of Thrones franchise alive with a new spin-off, which has been given a pilot order. The series will be called The Long Night and stars Naomi Watt in the lead. The story takes place years before anything we ever see transpire in Game of Thrones. 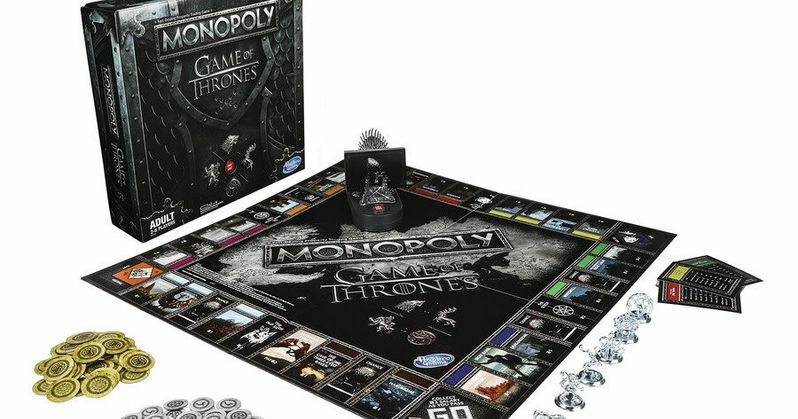 The new edition for Monopoly: Game of Thrones won't be available until early next year, but you can still pre-order it for Christmas and holiday gifts. Just find an inventive way to share that it's coming when giving it as a stocking stuffer. It will give the Game of Thrones fan in your life something to look forward to in the New Year.